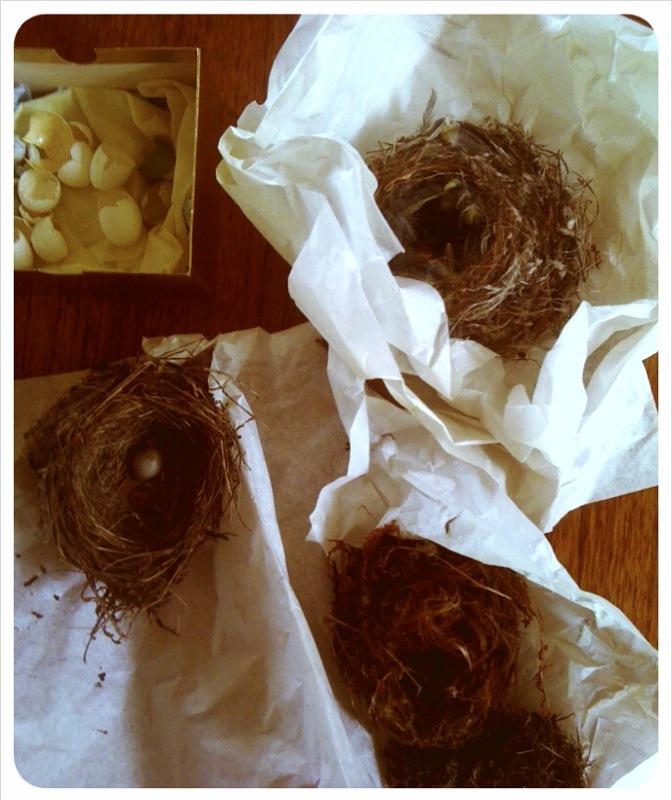 BABY BIRDS — CLAFLIN, THAYER & CO.Claflin, Thayer & Co. I've watched these Oregon Juncos nesting for the past few months. 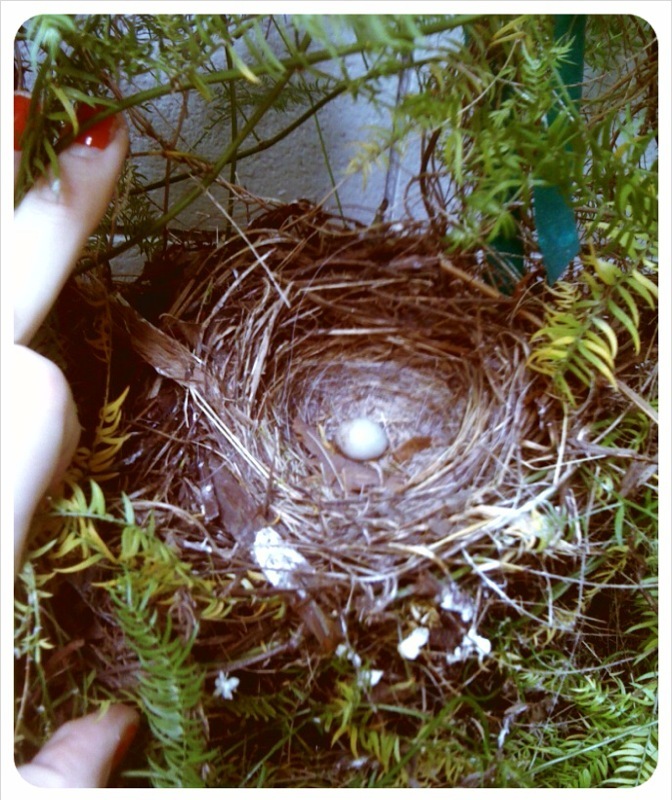 First the mom flew back and forth building the nest and then started spending a lot of time sitting in there. One day I looked in and there was a little pile of feathers with a heartbeat. The chicks started getting big and I knew they were going to fly soon. One day, they just left. There was one sad egg at the bottom of the nest that didn't get enough heat and never made it to term. 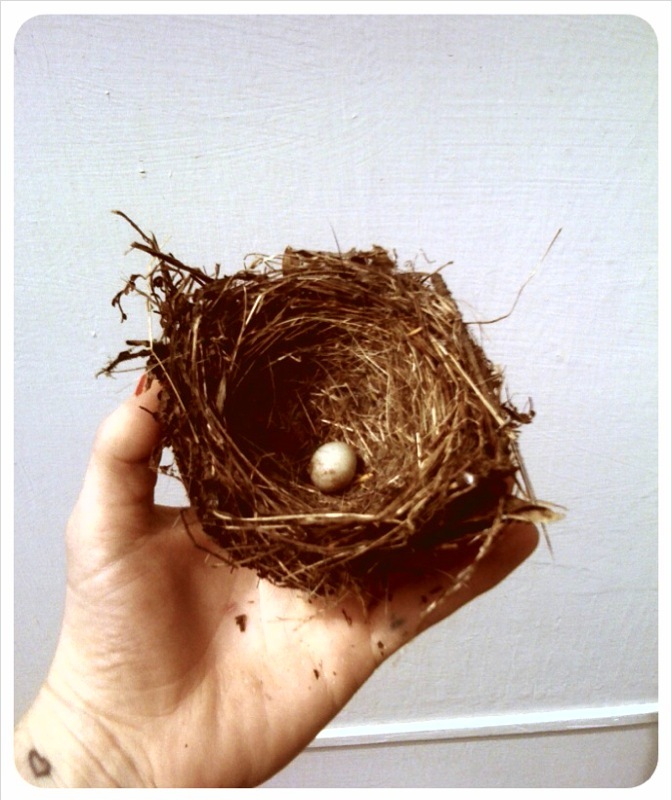 I left the nest for a long time, hoping a bird would come back to use it again. 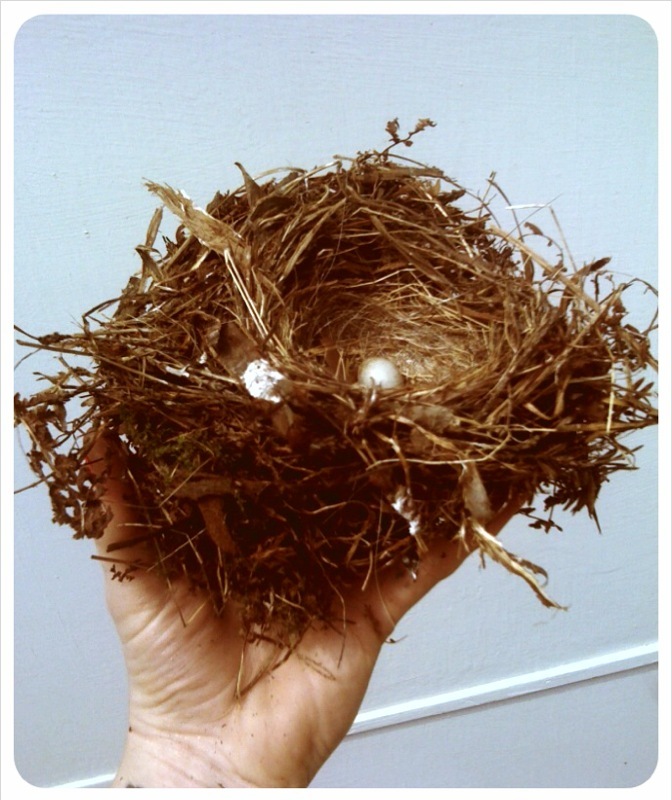 I can see my own red hair woven into the nest as well as that from the long-haired white cat that frequents our yard. When it started raining, I figured it was time to take it and add it to the collection I've had since I was little.